As I mentioned in my previous post, I had a great time with my friends in Tokyo last weekend. It was definitely needed to get my mind off of issues I was having both in Japan and back home in the United States. Do you ever have a weekend that just magically comes together and makes for an unforgettable time for everyone involved? It seems like that happens to me each time I take the Shinkansen or the plane back to Tokyo. It seems like every time I hear the harmonious melodies emanating from the Yamanote Train encircling Tokyo, all is right in the world. After our night out in Shinjuku, my friend and I woke up rather early on Saturday for another day of sightseeing at some of my favorite spots in Tokyo. While it had been nearly three years since I had visited some of these places, it is amazing how small shops and memories come back to you when you are back in a familiar environment, regardless of how long the lag time is. First up on the list was my old neighborhood in Tokyo, Jiyugaoka. This neighborhood is well known as one of the ritziest and most elite neighborhoods in all of the city, and for good reason. The boutiques, bakeries, and designer stores are abundant. Here there are any gardens and the streets are narrow near the station. I love this neighborhood. The only catch is that I lived in a dorm here, not an apartment. You can get a feeling for the neighborhood as soon as you step out of the station. The fashion-conscious japanese take their fashion very serious in Jiyugaoka. 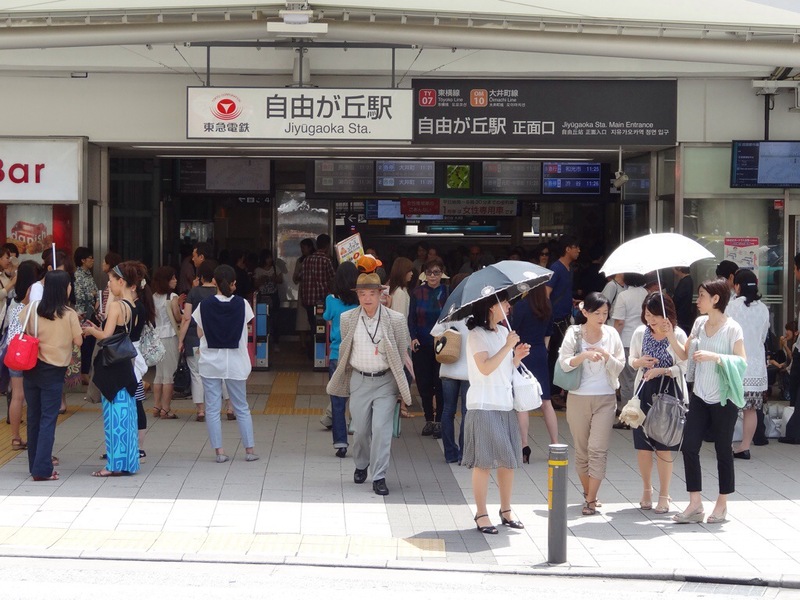 Here’s how the station looked on Saturday afternoon in the sunlight, as the hats umbrellas, and skirts were a sight to behold. 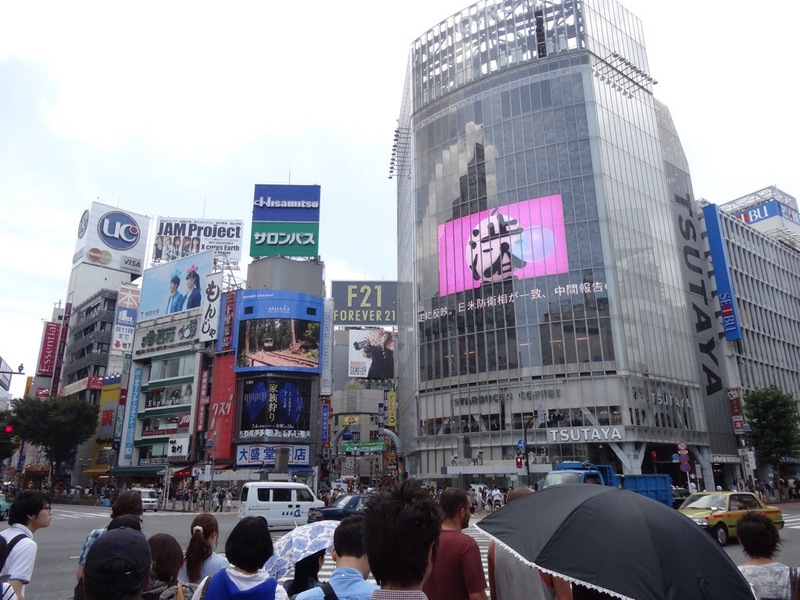 Following some more touring of the neighborhood and a quick stop for coffee, we were back on the Toyoko Train and headed to another favorite spots of mine: Shibuya Square. I changed trains every day in Shibuya Station and I still don’t know how I mastered the maze of corridors and halls that make up one Tokyo’s busiest stations. After a few wrong turns, we made it to the world’s busiest pedestrian crosswalk. As Japanese pop music came from the stores and people bustled to-and-fro, I again felt at home in the busiest city on the planet. After some sightseeing and a little shopping, we were off to some more nice places along the JR line: Takeshita Street and Shinjuku Gardens. 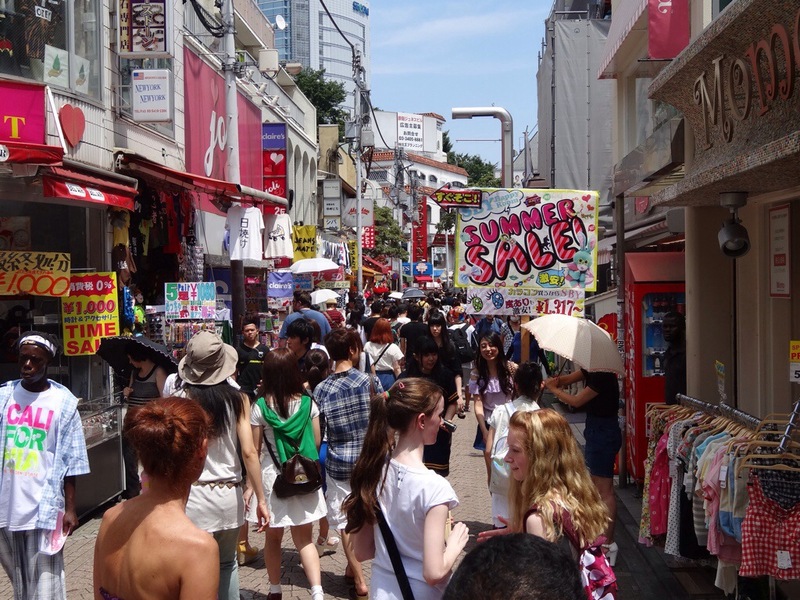 First up was Takeshita Street, known for its bustling shopping streets and unique stores. We spent time there and marveled at all the different types of people that pass through there in a matter of minutes. From the foreigners to the otaku to the businessmen on their way to their next appointment, there are so many different types of people in this neighborhood. Lest I forget, there were also many, many camera-wielding tourists. After some ice cream on a storefront stoop, we were off to Shinjuku Gardens via Omodesanto. I thought Shinjuku Gardens would be a fitting place to end our day excursions because of the sheer number of beautiful scenes and benches on Jericho be could rest. Tokyo is very walkable, depending on where you get off the train, but a day of walking and people watching certainly takes it’s toll on you. 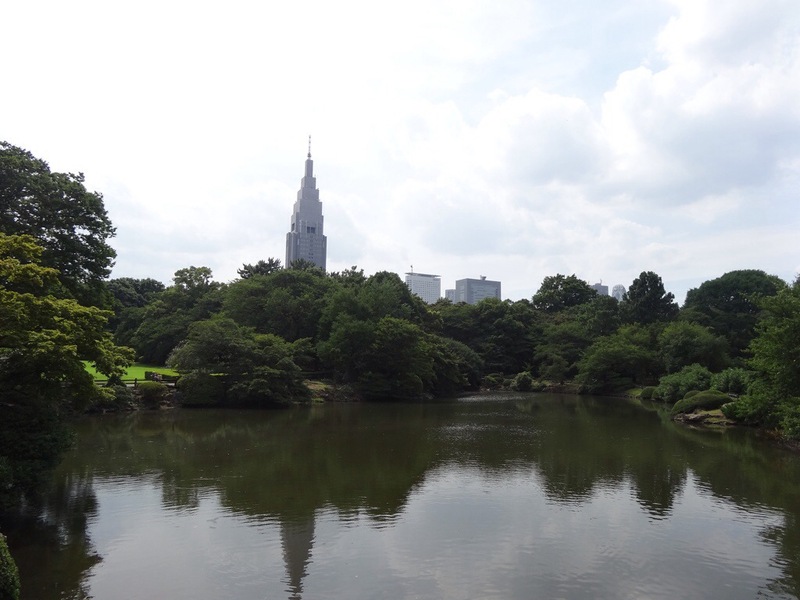 In Shinjuku Gardens, we marveled at the ornate setup of the foliage and took time to watch the carp and koi swim through exquisite ponds while we also looked at beautifully pruned bushes and shrubs. While I must say the towering buildings in the background give a nice touch of modernity to the park in the summer, the best time to come to the gardens is during the cherry blossom season, often in the first week of April. After a few hours here, we wrapped up our tour and headed back to our hotel to take a nap before meeting some of my friends later in the evening. More on that one, later. In Japanese, there is a word for dear or missed memories, and it happens to be one of my favorite Japanese words: 懐かしい. (Pronounced natsukashi.) Days like this in Tokyo remind me why I love the city so much and why it it is important to live in the moment whenever you are doing something. No one would have predicted the 3/11 earthquake nor how quickly I would have had to return after such a disaster, but I was able to relive better times in Tokyo with one of my dear friends from language on a beautiful, yet scorching, Saturday in Tokyo. 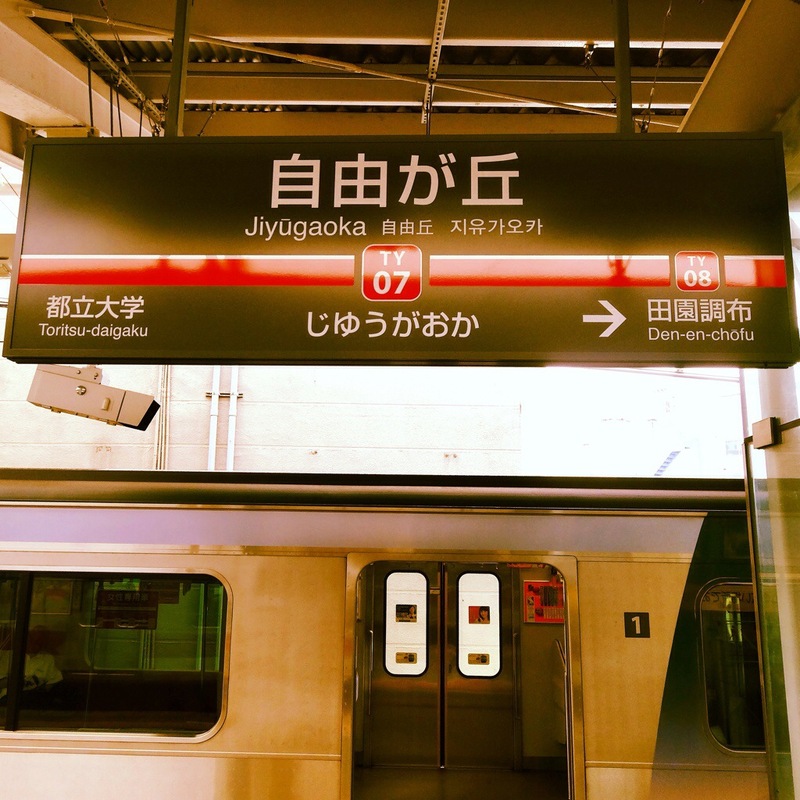 I finish this entry with a photo of the station board in Jiyugaoka. It is very 懐かしい for me. Most of us have a place or two somewhere on the planet where we can either sit down and relax or bring ourselves to a state of quiescence rather easily. This is a place where the world slows down, our mind clears, and we can rediscover ourselves in the midst of our daily trials and tribulations. For most people like me with a rural upbringing, there is no place like our grandmother’s back porch or our backyard at home. While both of those places provide so much respite and relaxation for me, there is one place in the world where everything truly comes to a stop and where clarity returns: Tokyo. This might sound far fetched tom some, especially as I would be a foreigner in the world’s largest and most bustling city, but for some reason I feel as at home in Tokyo as I do amidst the rolling hills, corn fields, and quaint small town streets of my hometown. Tokyo provides me a sense of anonymity and clarity amongst the tens of millions of Japanese bustling through their daily lives on the JR trains and busses that traverse every corner of the 23 wards. This weekend provided me a rare sense of clarity and quiescence in no other place but Tokyo. I would like to share my story. As readers of this blog know, this is my second time living in Japan, both times separated by about two and a half years and the Great Tohoku Earthquake. Life in Kansai (western Japan) is good, but I have recently been troubled by some personal problems along with a sense of complacency with my living situation. That is never a good thing. My friend from language school informed me that he was moving to Yokohama, a city south of Tokyo, for another immersion language program and invited me to spend the weekend with him to rekindle old memories and meet some of my friends in Tokyo. I could not turn down such an invitation and quickly hopped aboard the Shinkansen on Friday night after work to head to the big city. 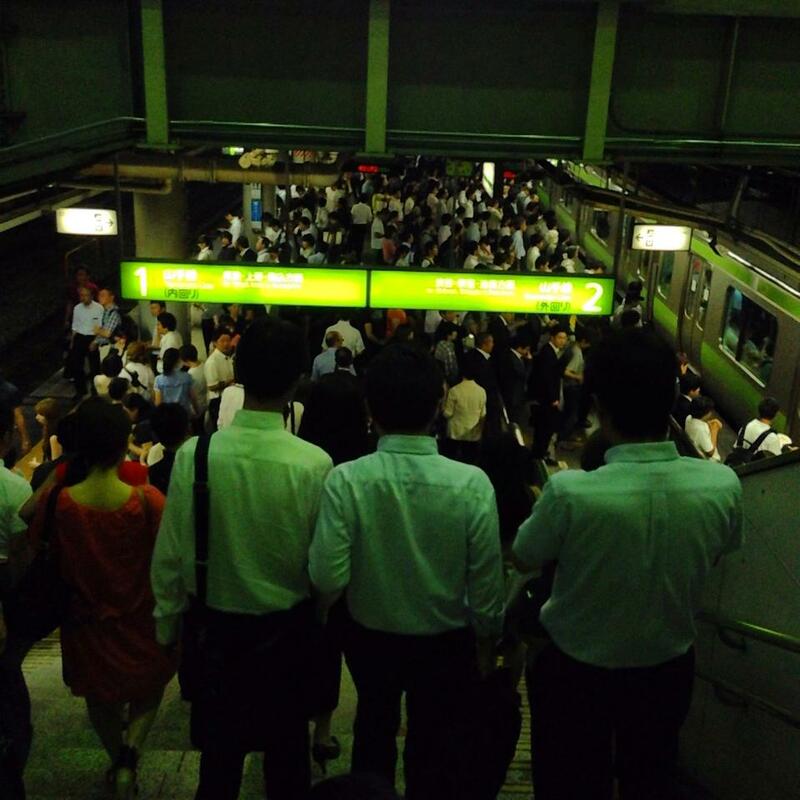 As expected, Shinagawa Station in Tokyo was packed, but this time I was not annoyed in the slightest. I looked forward to brushing shoulders with the salarymen on their way home and the other young people on their way out for the night. 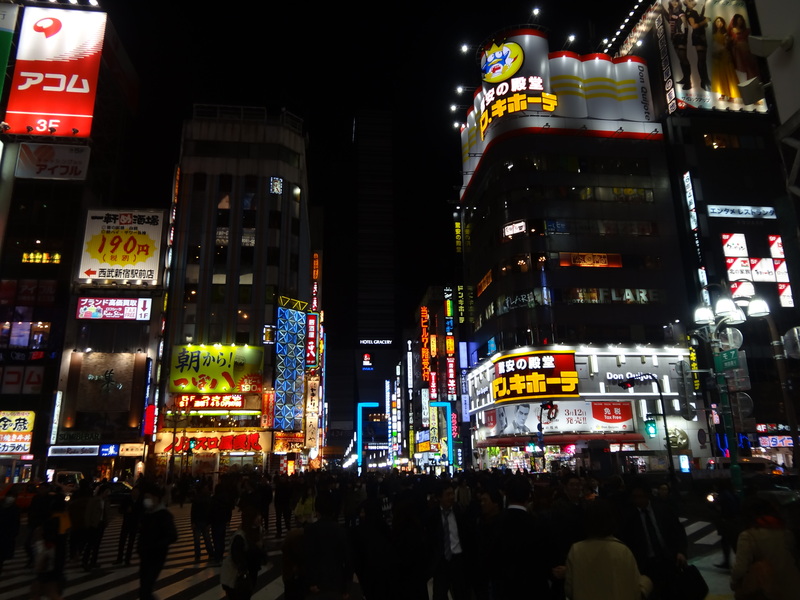 After meeting up at our hotel in Shinjuku, I became a tour guide of sorts, taking him to and fro throughout Shinjuku’s back alleys and less-traveled streets. 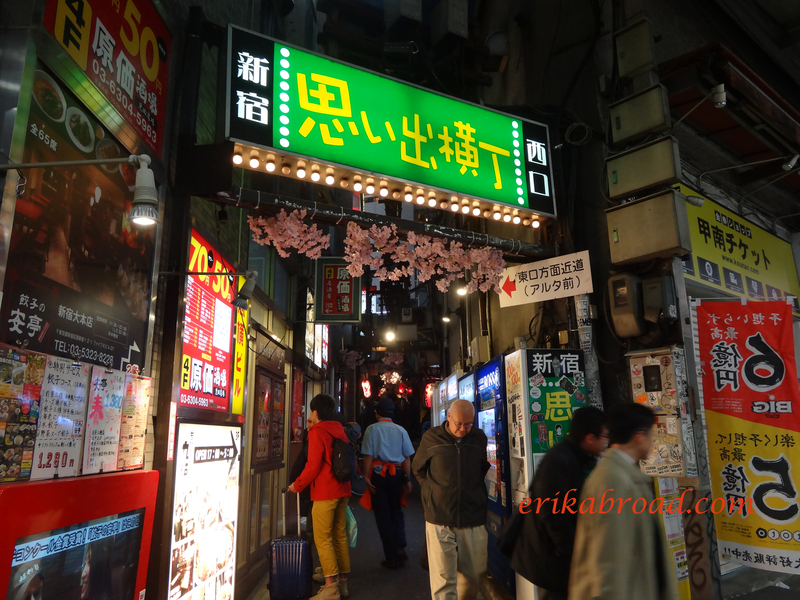 First up on the list was a place called 思いで横丁 (omoideyokocho) , which translates walking down memory road. This is one of my favorite spots in Tokyo, where each and every vendor sells yakitori and you go from store to store, getting your favorite skewers and noodle dishes as the night goes on. 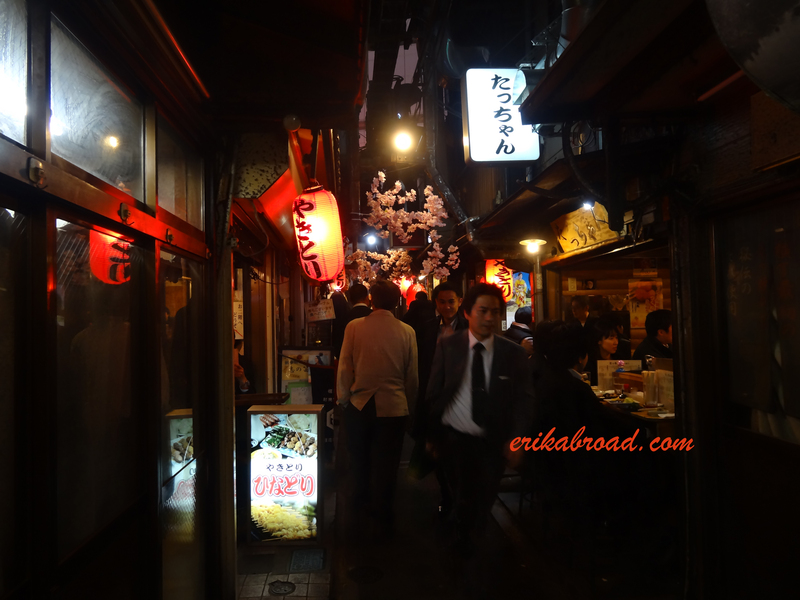 Yakitori Shops line the streets of this alley in Shinjuku. 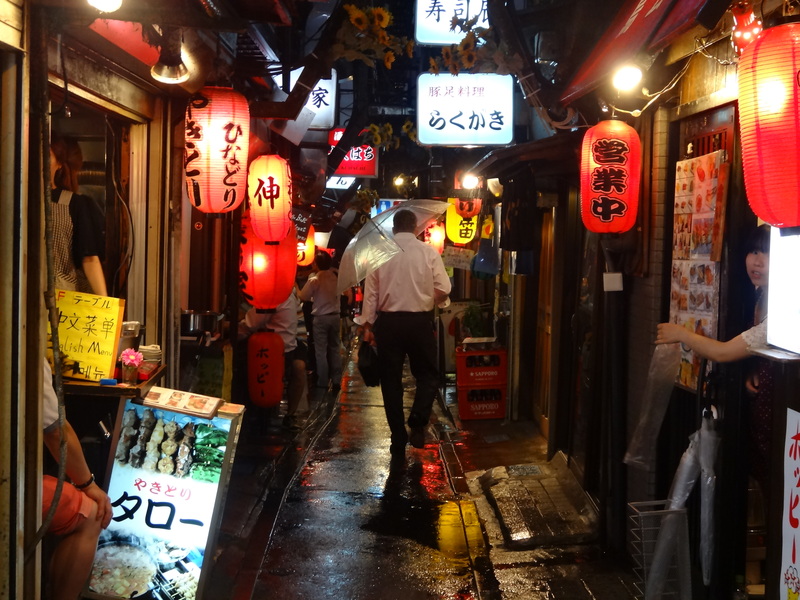 As we walked from our hotel room to the yakitori streets, light rain started to fall and changed the entire atmosphere of an unbearable and hot Tokyo afternoon to a more comfortable, bustling Tokyo evening. Quickly the umbrellas came out and all the lights and signs from the storefronts quickly glistened off the streets and from the puddles. It was a great evening. My friend and I went from store to store, sampling our favorite yakitori while also making new friends along the way. We even helped someone set an alarm on their phone in English! 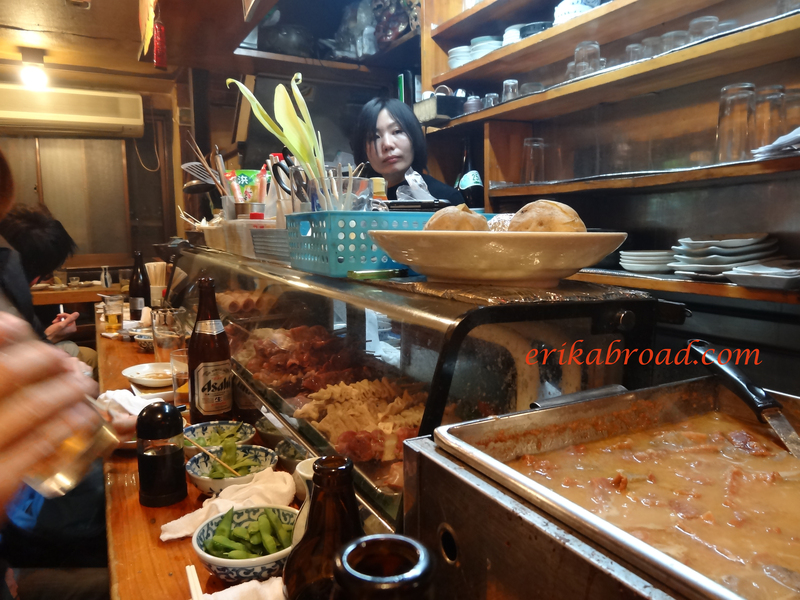 It seemed on these streets that the enoki bacon and Sapporo tasted better than anywhere else in all of Japan. 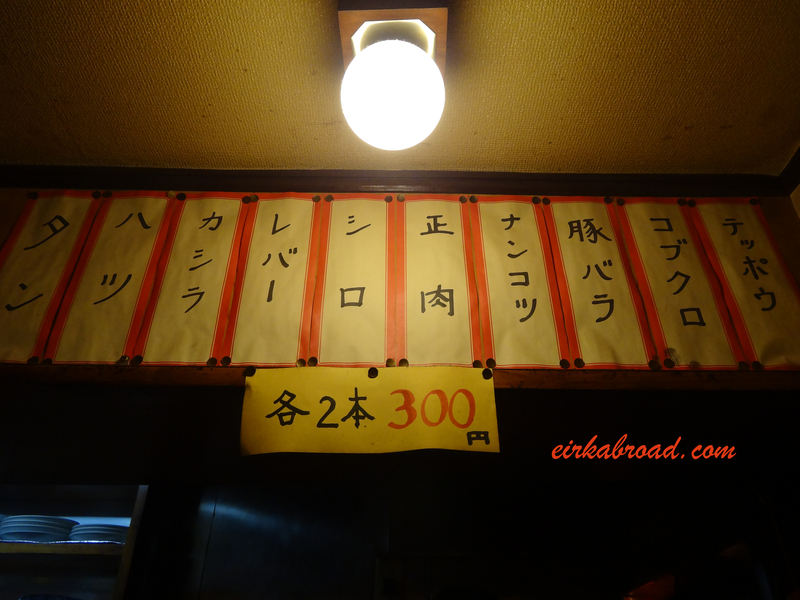 From there, we went on to another area of Shinjuku, called Golden Gai. This area is famous for the amount of small bars packed onto the small city alleys. The bars often only seat between four and ten people, so the seating is premium, as is the experience. We had a few drinks at some of the establishments and enjoyed chats about everything from Japanese baseball players in America to forcing people to give their self-introductions in English. These kinds of evenings are my favorite, as my friend and I became a little less foreign for one night as we interacted with the Japanese, in Japanese. We walked back to our hotel and settled down for what we thought would be a good night’s sleep to prepare for another day on our feet in Tokyo, but Mother Nature had an issue with that– an earthquake woke me up around 4:00am in true Tokyo fashion. This was a perfect night in Tokyo for my friend and I. Little did I know, but tomorrow would have even more in store.